Today only, get this Kindle book for just $2.99. Regularly priced at $6.99. Read on your PC, Mac, smart phone, tablet or Kindle device. You will learn the three basic features of a DSLR (Digital Single-Lens Reflex) camera. You will also enjoy playing and experimenting with the foundations of your very own digital camera and your digital photography, whether professional or just a hobby, will soar to new heights! A complete beginner or a novice will learn so much about this Kindle e-book. You will want to continue to refer to this book when you want to remind yourself of how each principle and technique is used. For professionals as well can benefit from this book. 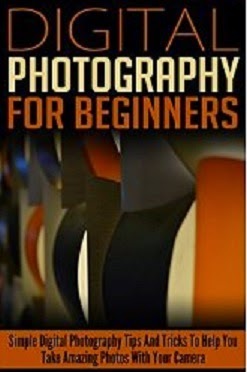 It's a great source as a reminder of the simple steps on creating quality photographs for your business or hobby.